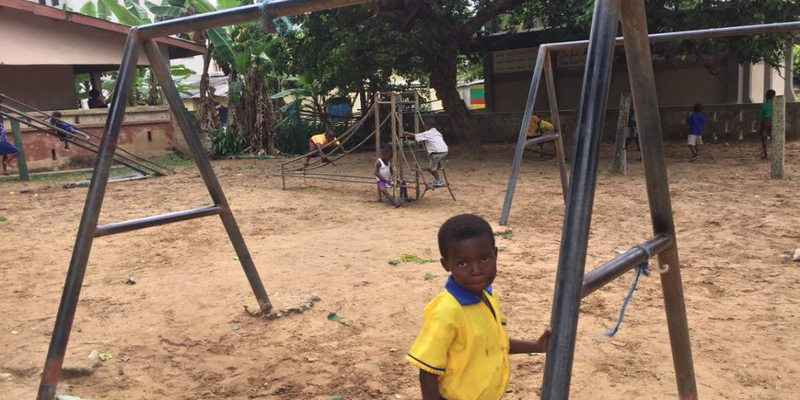 The Primary School's playground in Ghana needs rebuilding! The playground of the Methodist Primary School in the little village Busua in Ghana is in bad condition as you will see on the video and photo's. My friend and manager from Black Star Development, the company that organized my internship last year, is going to rebuild the playground so the kids will have a save, educational and fun school environment. A proper playground area is necessary for the cognitive and motor development of children!